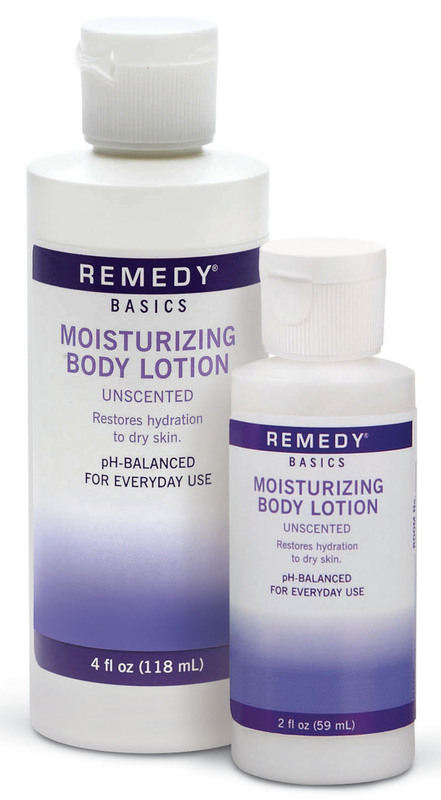 Remedy Basics Moisturizing Body Lotion is ideal for everyday moisturizing. Its unscented formula is easy to use and absorbs into the skin leaving no sticky or greasy residue behind. This pH balanced formula is perfect for hydrating dry skin. Use this moisturizing lotion for soft, smooth skin every day.